iPhone XS and iPhone XS Max sale start in India today at 6:30 PM. With this, Paytm Mall has announced an offer under which buyers will get up to Rs 7,000 on their purchases. 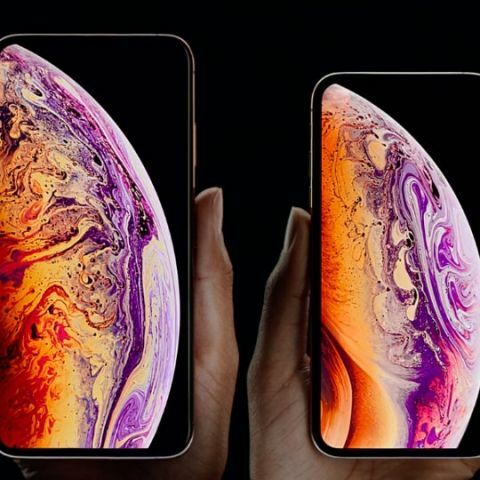 Recently, the Apple has launched three new smartphones iPhone XS, iPhone XS Max, and iPhone XR. These new devices finally have gone on sale in India today at 6:30 PM. The Apple enthusiast in India can purchase these devices both online and offline, while Paytm Mall has announced an interesting offer under which buyer will get Rs 7,000 discount. There is also an EMI and free delivery option available for buyers. The launch of new iPhone means a price cut on older models in the country. Along with iPhone XS and iPhone XS Max, Paytm Mall is also offering up to Rs 12,000 cashback on iPhone X. The 64GB variant of iPhone X is available for Rs 92,690 along with Rs 12,000 cashback on Paytm Mall. The iPhone XS and iPhone XS Max 64GB variant is priced at Rs 99,999 and Rs 1,09,900 respectively, while their 256GB variant is available for Rs 1,14,900 and Rs 1,24,900 respectively. The Apple iPhone XS features a 5.80-inch display with a resolution of 1125 x 2436 pixels. The smartphone is powered by a Hexa-core Apple A12 bionic processor. The device packs a 3GB RAM and 64GB internal memory. It has a dual 12MP rear camera and a 7MP sensor on the front. The iPhone XS Max has a 6.5-inch Super AMOLED display with a resolution of 1242 x 2688 pixels. The Phone is powered by a Hexa-core Apple A12 Bionic processor, which is paired with a 3GB RAM and 64GB internal memory. The smartphone comes with a dual 12MP + 12MP rear camera and a 7MP unit on the front.